Yamaha‘s slightly loopy MT-09 street-supermoto-sports bike thing goes all sports tourer. Has it lost its edge? Not a bloody chance. Cold and slippery doesn’t stop the fun. Although the lack of heated grips nearly did – that’s one option box you should definitely tick. The MT-09 Tracer is a grown-up version on the MT-09, in the same way that a Porsche Cayenne Turbo is a grown-up version of the 911 – they’re still bloody nuts. The Tracer gets a bigger, comfier seat; a fairing with adjustable screen, a centre stand, pillion grab handles, more fuel capacity, a softer throttle response and revised suspension settings. The sharp-eyed and cynical will be picking up on those last two points as potential areas to spoil a perfectly good naked sports bike. And usually, you’d have a point. Honda’s recent efforts to turn the VFR800 into a more capable all-round tourer with the Crossrunner only succeeded in creating a heavier, slower bike with numb handling that nobody wanted. But Yamaha has steered clear of that trap. The MT-09 Tracer is actually better than the standard bike for everything but the most committed of mad ride-outs. The suspension is taller and has more damping in both directions, keeping the Tracer stable and surefooted. And the softer throttle response makes the 115bhp triple-cylinder engine that bit easier to use, especially in tight corners. Has it lost its edge? Not a bloody chance. 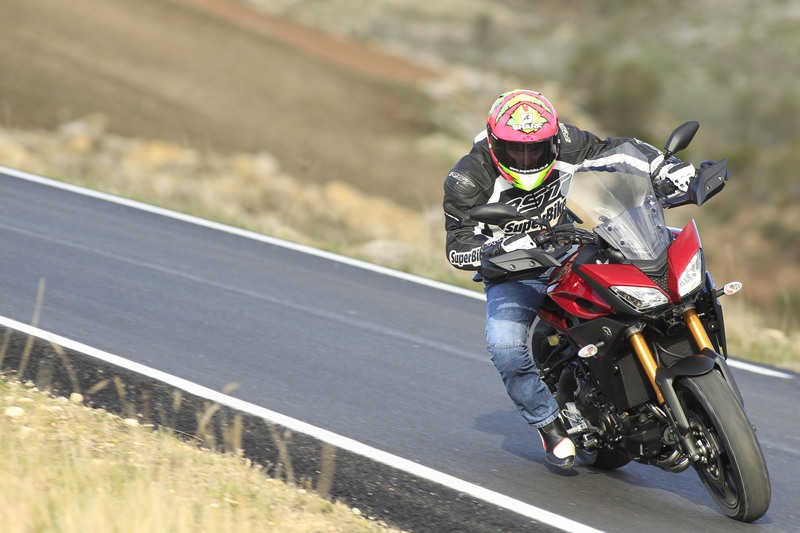 Apart from making an already-good bike better dynamically, Yamaha has managed to make it comfortable, practical and safer too, with the addition of switchable traction control. Which we switched off within about 10 miles to make the most of the more predictable throttle response on slippery, drift-tastic mountain passes. If I had to pick some holes, I’d be pointing my finger at the brakes that could do with a touch more power and bite and the weird-shaped hand guards that don’t keep the wind off your pinkies. We’re getting a hint of original Fazer 1000 here – the Tracer is just as much fun too. And better at wheelies. 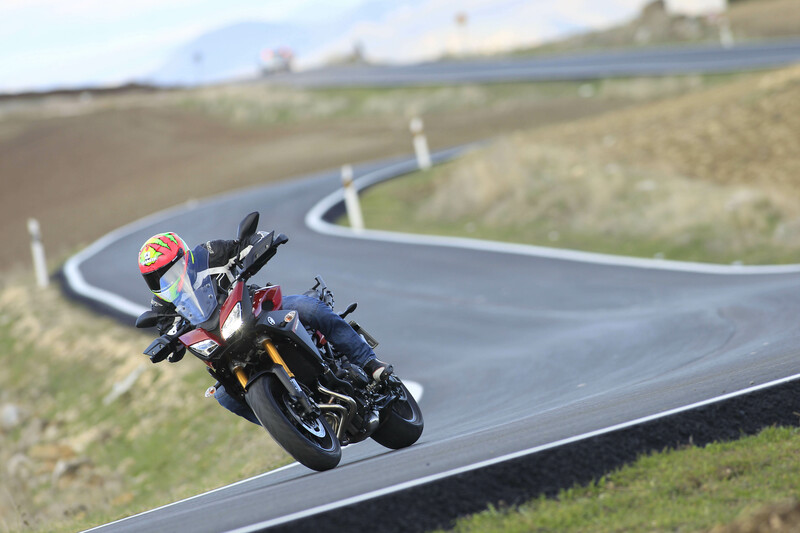 The MT-09 impressed and surprised everyone, and they’ve done it again with the Tracer. A blinding sports tourer for a sensible price (£8,149), if you’re as keen as we are, get down your local dealer in March and book a test ride. Keep an eye out for the February edition of SuperBike mag for a full review too.